This award-nominated storybook Bible contains 24 stories for little ones- available in paperback for the first time. Open the Little Bible Storybook to meet Jesus, fi nd out who he is, hear what he is like, and enjoy being with him. 24 brief stories now in a shiny paperback format to help very young children learn about Jesus. A companion book to The Jesus Bible Storybook, using the same format and style, telling the stories of Jesus' birth, life, death and resurrection in a few words, with full-colour photographic illustration in the Bible Friends style. The Little Bible Storybook by Maggie Barfield was published by The Society for Promoting Chri in August 2015 and is our 1874th best seller. The ISBN for The Little Bible Storybook is 9781785061912. 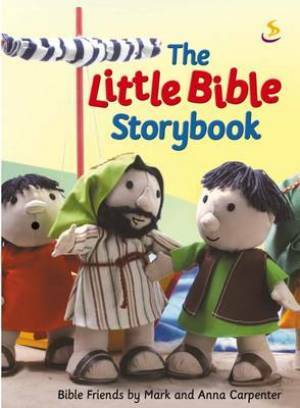 Be the first to review The Little Bible Storybook! Got a question? No problem! Just click here to ask us about The Little Bible Storybook.